Used Nortel Meridian phone system. 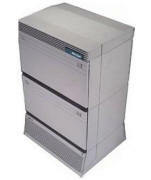 Sell buy used refurbished Meridian 11c 61c 81c telephone systems. We will pay you top dollar for your used Nortel Meridian phone system. Just contact us today to sell used Nortel Meridian phone systems in good working condition. We pay for freight. Call 1-888-234-4975 for more details. We have all Nortel switches in stock. Call for prices. Used Nortel Meridian Option systems offer advanced voice/data connectivity, LAN communications, computer integration and information services up to 16,000 users. We can design a refurbished Nortel Meridian Option 11c, 61c or 81c telephone system to fit your specific needs or quote our prices for a system proposal you've already received. We can install your refurbished used Nortel Meridian Option 11c, 61c or 81c telephone system anywhere in the nation.